When I heard about Margaret River Bakery Café, I thought I was going to visit a quintessential suburban bakery with an array of goods on a display cabinet and I was prepared to take away some pastries. 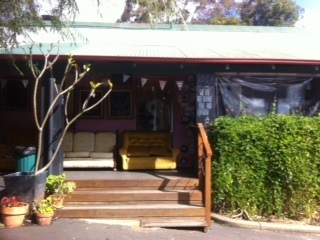 I was not prepared to be greeted by a cute, welcoming house with comfy sofas with a decidedly quaint country feel. It was raining when I got there, but on a warm day, it would be lovely to sit on their outside table surrounded by trees, plants and a collection of old plates. I was also not prepared to be jostling for a place to sit. Margaret River Bakery Café is very popular, which is befitting from its top-ranking TripAdvisor status. The pastries in the display cabinet looked divine and were of a generous size. The breakfast menu looked great ranging from a big bakery brekky with scrambled eggs and mushrooms on sourdough to banana and honeycomb pancakes served with maple syrup, double cream and honeycomb butter. Unfortunately, I could not find a seat in the café for breakfast so we had to settle for coming back at lunch time. Luckily the lunch crowd was not as busy as the breakfast crowd. 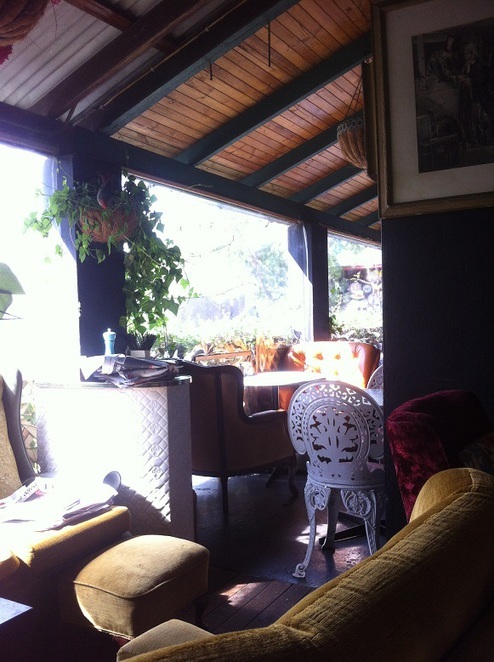 We sat out on the patio on mismatched chairs lending the place a certain old-fashioned charm. The bakery was also decorated with old pictures and paintings in different sized frames. 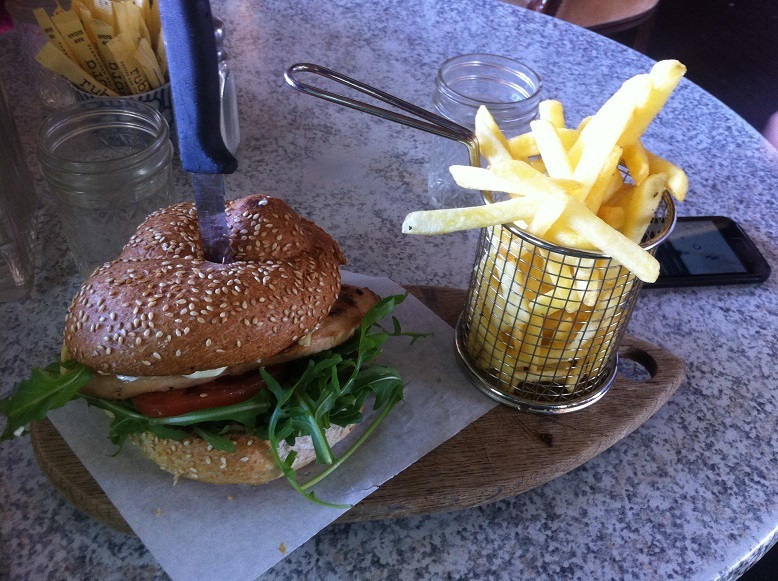 The café is apparently famous for their Leeuwin Grass-fed beef pies, but as I am not a fan of beef, I ordered the grilled chicken burger with avocado and fries. The fries were thin and crunchy with just the right amount of oil. The grilled chicken was a tad dry, but the aioli sauce and generous avocado helpings made up for it. However, the star of the show was the bun. It was crunchy and delicious with a homemade taste to it. If you are naughty and want a bit of indulgence, you can pair your lunch with a cookies and cream, honeycomb, salted caramel or malteser drink. We also ordered scones and coffee which was a pretty good deal at less than $8 for the lot. 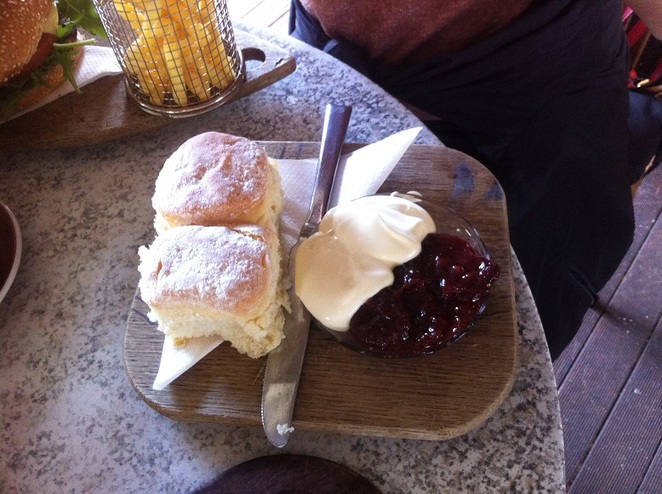 The scones came with jam from the Berry Farm and delicious cream. Prices at the Margaret River Bakery Café are quite reasonable with most meals (both breakfast and lunch) costing less than $20 which is a rare treat in the tourist area of Margaret River. 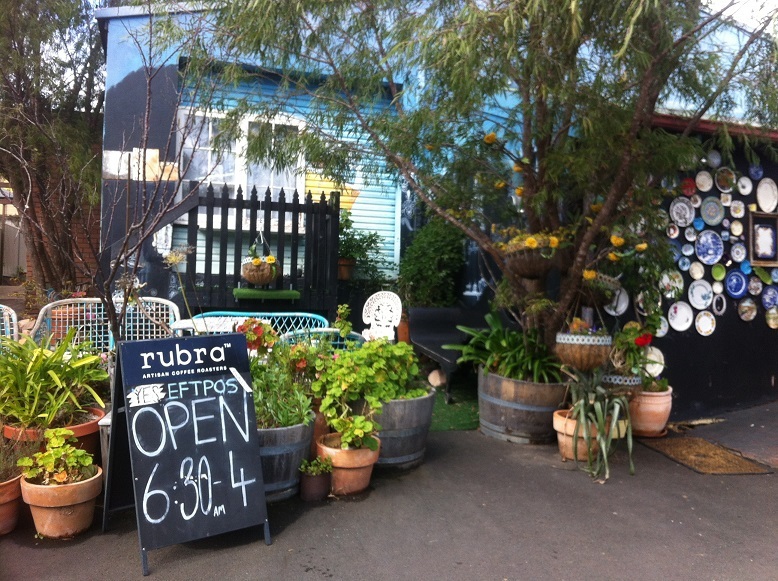 You can visit the Margaret River Bakery Café at 89 Bussell Highway, Margaret River. You can call them on 08 9757 2755. The bakery is open from 7am until 4pm. Be prepared to wait on weekends.